1. You aren't reading enough of these lists. How would you even know what you're doing wrong if I wasn't posting a new list every day? I'll tell you: lost. You'd be completely lost. In fact, you've been lost this whole time until you clicked on this list. Congrats, friend. You're now on your way to real, authentic, relevant, hip, cool, emerga-contemporary awesomeness. Stay tuned for tomorrow's list to find out more. 2. You aren't scared enough that you're doing these things wrong. Before you started reading this post, you were too happy and content. Sure, you might have been too busy planning a Bible study lesson or serving at a soup kitchen with your Mission Team to keep up to date, but now you finally have time to realize why those actual acts of ministry fall incredibly short of whatever you should be doing instead. You should be terrified about how wrongly wrong it all is, and then you'll finally be on your way to starting life-changing programs in your church. 3. You're too closed-minded to my wisdom. Listen, I realize that I know nothing about your ministry context and that the particulars of your setting are completely unique and may require a nuanced and finessed approach...but seriously, have you even read any of my books? Or are you subscribed to my blog? Or have you attended one of my conferences? See my list of eight reasons why you therefore don't know what you're doing after this one. They help you keep track of things, like groceries to buy or which bloggers to read. Numbers and letters should be put together as often as possible. It's easier to make lists of a bunch of topics than to really delve in and explore one of them. 5. You don't have enough people. 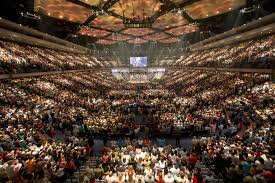 Every church can be a megachurch if it tries hard enough. I mean, sure, maybe your worship service hits the right balance for the congregation and maybe your faith formation ministry seems to really be reaching those who attend and maybe your food pantry is well-stocked...but do you really have enough people? Like seriously, do you? Wait, don't answer yet. Think about it for a second...thiiiiiiiink. You could always have more, right? The answer is yes, you could. No, you could. STOP ARGUING WITH ME YES YOU COULD. 6. You're taking too long to change things, and I'm impatient. Hey, I already admitted that I know nothing about you, your church, your people, or your location. Things like "context" and "personalities" get in the way of applying new fresh ideas whole cloth, as quickly as possible, without regard for how well it might really work. But I spent an hour typing this and your ministry isn't growing yet. What's your deal, anyway? 7. You really do know better than me. I'm sure there really are some things you'd like to be different about your church. And you keep showing up every day working to improve and evolve them. And you're frustrated by people who resist or have different ideas. And reading lists like this only adds to the anxiety because they remind you just how far you need to go together. So maybe the first thing you could do right is give up reading posts like these, and find someone who knows you and your people better to give advice and encouragement. Because if your main source of wisdom is an endless stream of lists of things you're supposedly bad at, the Church Universal is in way more trouble than we know.